Get Moving Catalog is committed to your total satisfaction. Should there be a problem with the product you purchased, we will make sure to resolve it. 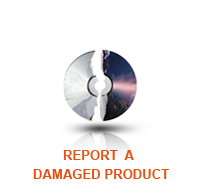 Reporting Your Problem & Getting It Fixed Is Simple. Simply CLICK HERE and complete the Contact FORM. One of our customer service representatives will look into your claim immediately. Your Get Moving Catalog Order Number: starting with TF - (followed by 9 numerical digits), or the 7 digit order number in your Team Beachbody packing slip. Our order numbers are in this format ONLY. If your order number is not in this format, please cross check your records and contact the company where you purchased your item. The name of the specific item that has been damaged.